Worcestershire Acute Hospitals NHS Trust is launching a six month pilot project next month which will see fire service personnel used to transport patients. The Trust said the initiative was proposed by Hereford & Worcester Fire and Rescue Service’s community risk team in the wake of the problems suffered by the NHS due to extreme winter pressures last year. Health chiefs said HWFRS’s community risk team already plays a key with various agencies checking on vulnerable people in their own home and the new role would not detract from the service’s firefighting duties. Nor would patients end up being transported home in fire engines. A spokesperson for the Trust said: “As part of our system-wide preparations for winter we have had discussions with a number of partner organisations about how we can support each other through what we know will be a very challenging period. “This offer of additional support from our local fire service could help to improve our discharge processes, and help our efforts to ensure patients who are medically fit for discharge get home safely, freeing up beds, improving patient flow, reducing waits and improving ambulance handover times. WAHT, which operates Worcestershire Royal Hospital, the Alexandra Hospital in Redditch and Kidderminster Hospital, has been plagued by overcrowded emergency departments and bed shortages due to fit to go home patients stuck in hospital because there is no onward care package available for them. This has led to queues of ambulances waiting outside Accident & Emergency waiting to hand patients over to hard pressed A&E staff. The new service will be aimed at patients who arre able to walk and possibly some wheelchair users and they will be transported by uniformed fire service personnel in HWFRS vehicles. The service, which will be provided free to the Trust by fire personnel, will be introduced in December, initially at the Alexandra Hospital site and will run for a six month trial period. 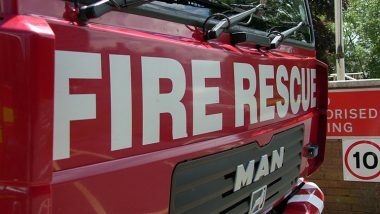 A fire service spokesperson said: “HWFRS has agreed to carry out Safe and Well checks for patients discharged from the Alexandra Hospital in Redditch, for an initial six-month period.